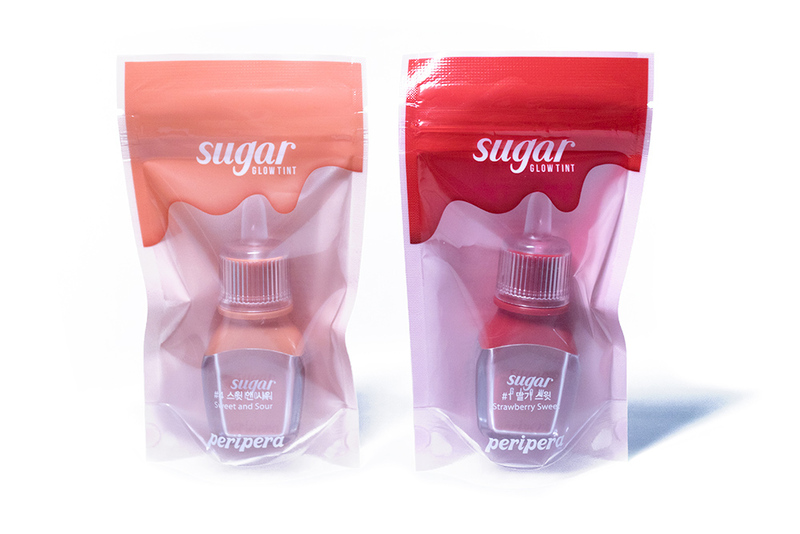 Review: Sugar Glow Tint (Peripera) – Oh My Stellar! As happens basically all the time, I got suckered into a product by the packaging and promotional photos again. I’ve talked extensively about how much I love Peripera lip products, so I don’t think I’ll need to repeat myself here. 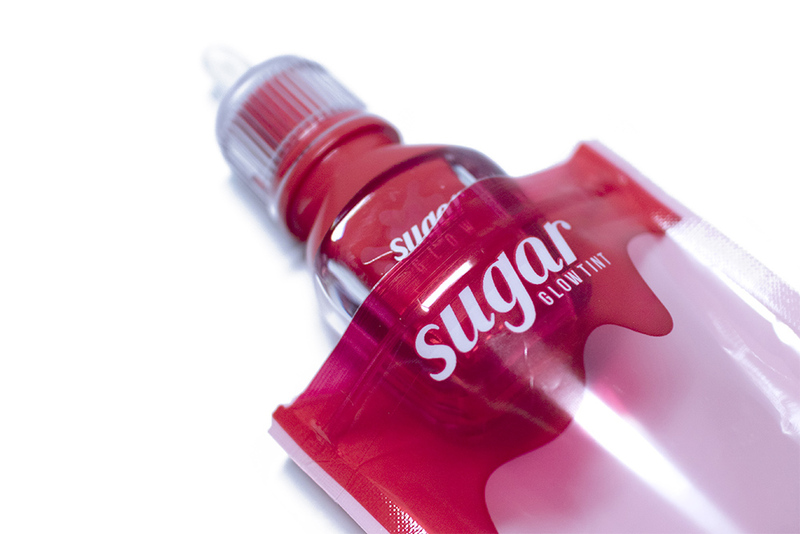 These are the newer Sugar Glow Tint – a subtle glossy tint that I recently came across on Instagram. 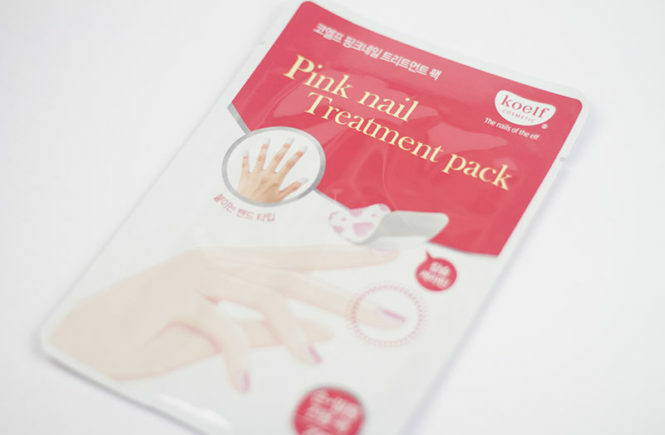 I hadn’t seen it available at many online stores yet, most likely because it’s fairly new, but I saw that StyleKorean had them in stock so they sent over some for me to review. I received these before I went on holidays, so this was another product that I took with me travelling and so I’ve tried it out for a long time. I don’t find myself reaching for it every day because I usually prefer a bolder colour, but I do enjoy it when I wear it and like to keep it in my bag every day. This product comes in five shades and is currently selling for USD$9.24 on the website, a fairly average price for their lip colours. StyleKorean also has all five of the shades available, so definitely check all of them out. And, without any further rambling from me, let’s get into my review! 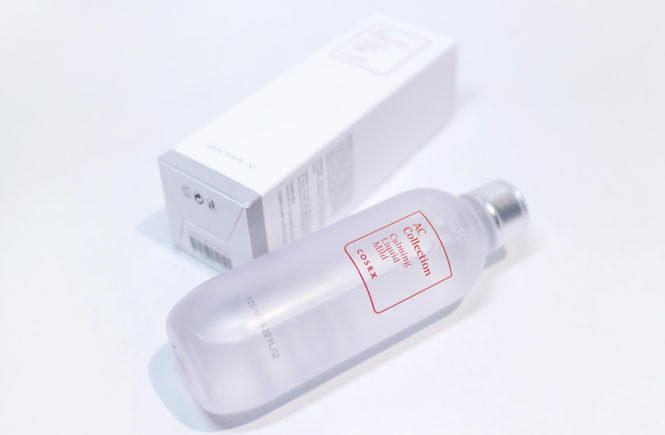 Similarly to the Water Gel Tint, this product also comes in a plastic bag style packaging – I’m thinking that this might be what they do for all of the water type tint products. It’s cute and it plays in well with the overall concept, though I can see that it’s a bit excessive and not environmentally friendly. 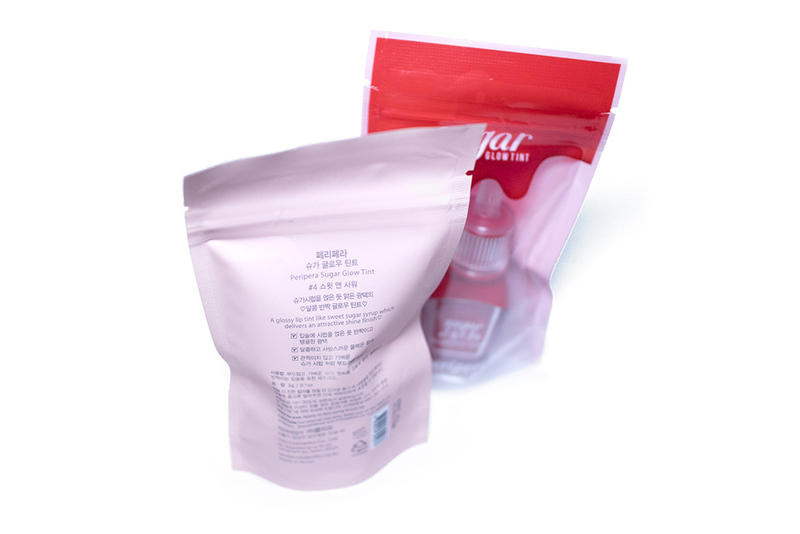 The bag is even resealable – but I don’t know any situation where I would want to do that. Still, if it was part of a present, then it looks really good. 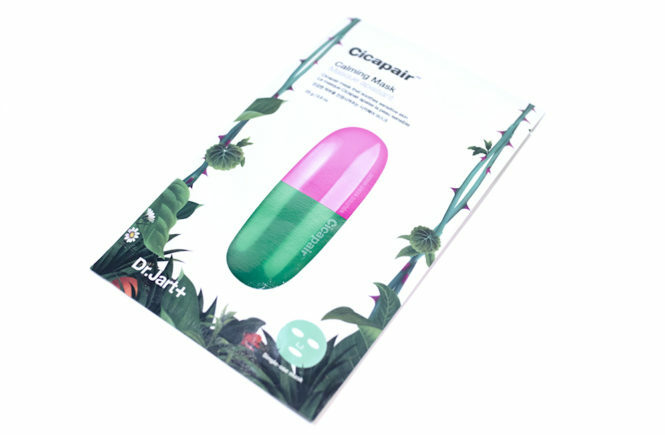 The packaging also feels like a good quality and gives it a very trendy appeal. Inside, the tint has a bottle style packaging which – to me – looks like a sugar jar. At first, it looks like you can see inside but it’s actually coloured plastic. However, since the colour is made to reflect the shade, I like that you can see immediately what colours you have. With these sorts of tints, they can often look different in the bottle as opposed to when applied. 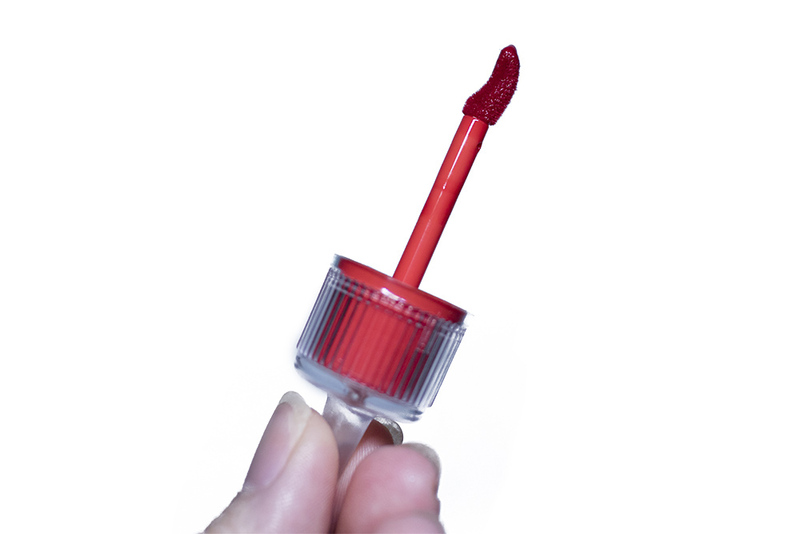 The applicator is similar to a standard doe foot but actually has a curved shape which is meant to help hug the lips. It does make application quite easy, especially on the go, but it isn’t a massive difference to the standard. 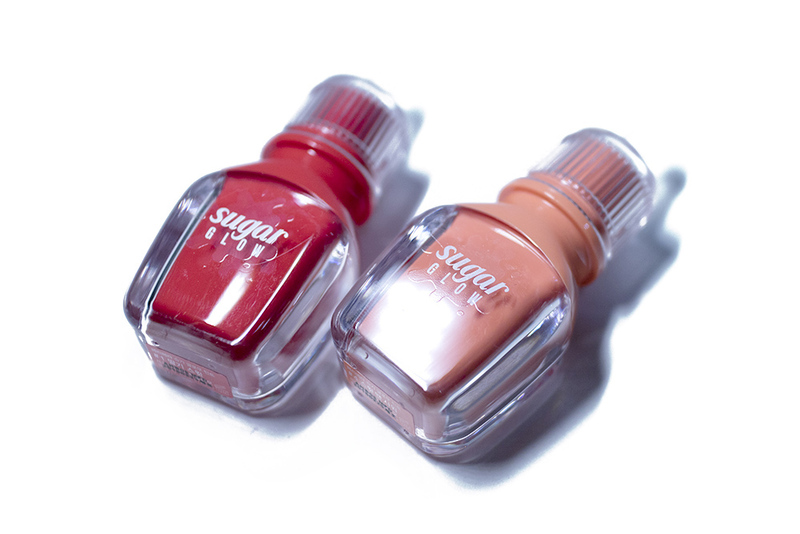 As I mentioned before, the Sugar Glow Tint comes in five shades – all of which are red, pink or orange and seems rather similar in shades but have differing undertones (according to the official swatches). This is pretty common for Korean lip tints but I really wish that they would be more creative with their shade ranges in the future; these colours are trendy but it’s nicer to see a brand lead trends rather than follow. For this review, I decided to try out two shades – 01 Strawberry Sweet (“A classic red for everyone! Tinge your lips with sweet strawberry syrup”) and 04 Sweet and Sour (“An innocent peach coral color, subtle and pretty as can be”). 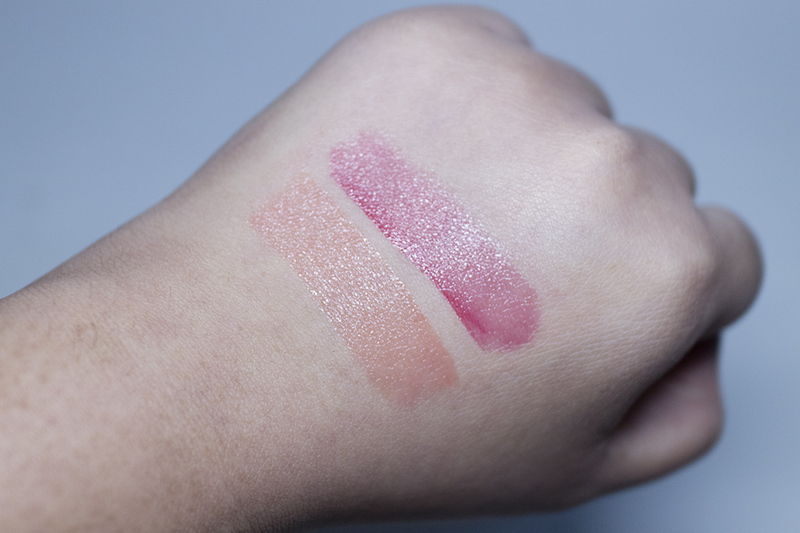 I purposefully chose two colours which seemed very different from each other in swatches for comparison but, since the product is quite sheer and subtle, the difference isn’t too big once really applied. This wouldn’t be a product where I would want to collect the entire range, but instead choose a few staples. As for the formula, it has a very light and watery texture that almost feels like an oil tint – practically nothing on the lips. It is advertised as a dewy gloss with a subtle stain – which is definitely true. The product has a syrupy taste (which is likely because it contains Maple Syrup, Manuka Honey extract and Muscovac sugar) which can be a hit or miss. However, it isn’t the usual artificial sugar taste, but rather something that is a little bit warm (it’s a bit hard to explain). Personally, I don’t mind that but I’m also not a big fan of it. Scent wise, I didn’t notice anything once it was applied. When applied, the product definitely gives your lips a very glossy finish, which also makes your lips look more plump. 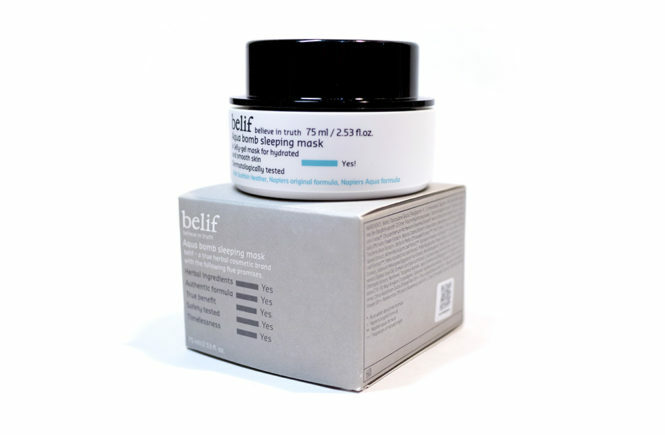 As I also mentioned before, it’s very light like an oil tint so it isn’t sticky at all and is also very hydrating. For that reason, it’s a product that’s easy to apply on top of others (such as lipsticks) or to reapply during the day. It also does leave a subtle stain, as is promised, but the stain is actually a lot more subtle than in their official swatches. In fact, the actual colour pay off of this product was much more natural and light than I thought it would be. It applies much sheered than their photos promise, which is disappointing because I personally love opaque lip glosses. However, the actual shade of the tint is very similar to what is shown so the photos can be used as a colour guide – just don’t expect the formula to look like that. I’ve put the swatches (both of my hand and of my lips) below, so you can see how sheer this product is. 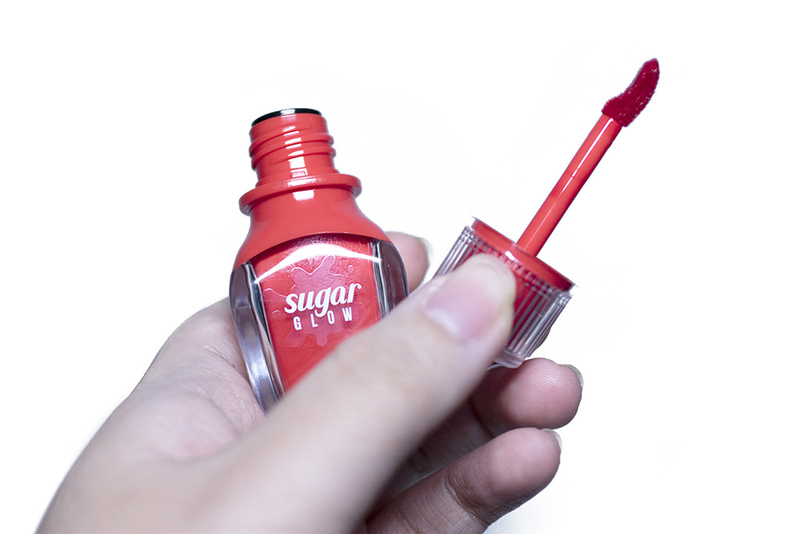 It really applies much like a traditional gloss, but without the stickiness or heavy formula. 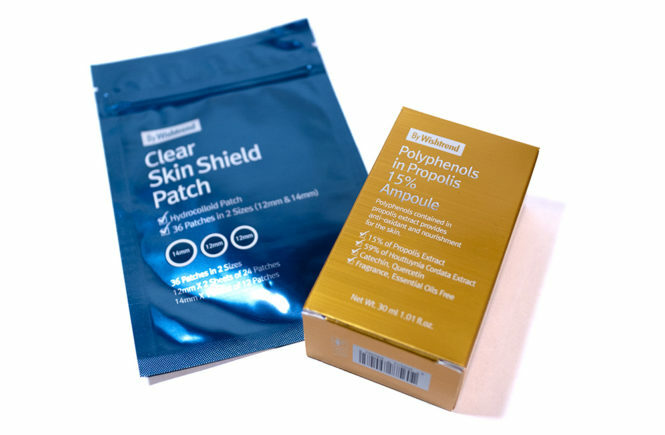 I especially like this for colder or drier whether because it’s so hydrating and easy to reapply, but the pigmentation also doesn’t settle into dry patches. Strawberry Sweet applies like a blue undertone red tint while Sweet and Sour has a more warm peach shade. The transparency of the shades means that it can be easily changed by the colour of your natural lips. It’s possible to conceal your lips underneath so that it’s more true to colour, but I prefer to just wear it as is or on top of another product. I think that it gives a very wearable and pretty natural look that works well even with minimal make up. That being said, this product isn’t long wearing at all and I find that I have to reapply it often. This might be because the product is so thin and light in formula. If you eat anything or drink then, naturally, the product will transfer and will essentially disappear from your lips. However, even without that, I find that it loses glossiness within an hour or two (as though my lips have sucked up the moisture) but does leave a very, very subtle stain. Luckily, the product is so easy that you can reapply this on the go, maybe even without a mirror. 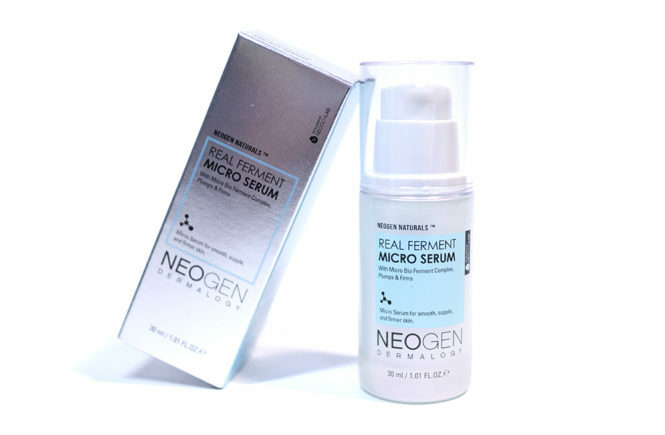 Overall, I enjoyed this product for what it is – even though the results did not match up with what I originally expected. It isn’t one that I wear all of the time, unless I’m layering it on top of something else, but I’ll generally use it on days where I’m after a more natural look or if I’ve gone especially stronger on my eye make up (and therefore don’t want to play up my lips). Unlike a lot of other lip products, this isn’t drying on my lips at all so I have no issue using it throughout the entire. With others, I often switch my lip product to a gloss or balm later on because my lips are feeling too dried up. 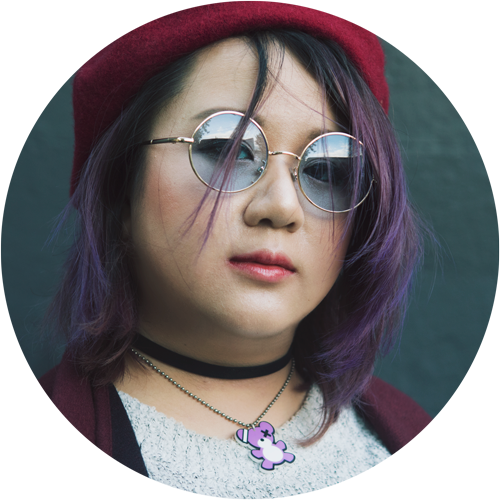 TL;DR – the Sugar Glow Tint is really pretty and it gives my lips a very glossy and plump appearance, without being heavy or sticky. I also like the packaging and the applicator, even though it isn’t something too outrageously new. However, my main disappointment with this product is that the official images are deceivingly pigmented and bright – which the actual product does not look like at all! I personally enjoy the two that I have, even though they weren’t exactly what I had expected. For someone who likes a glossy look but is after something that they can keep reapplying and keep their lips hydrated (much like a balm) then I think that this would be a good alternative. I wouldn’t say that I’ll be collecting the entire range but I do like the two that I have. 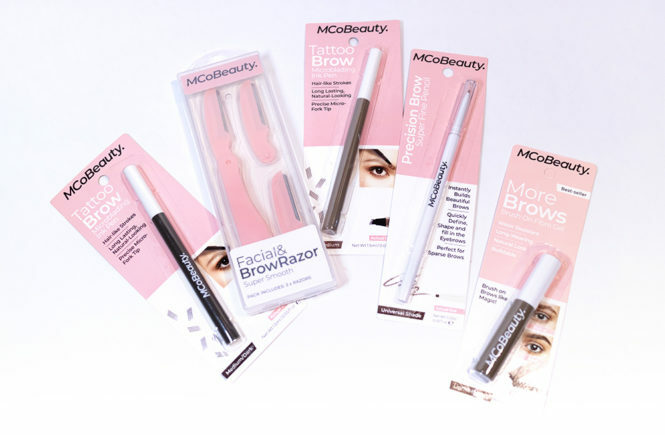 If you’re looking to buy them, I would recommend picking just one or two that you think you’ll use often – just keep in mind that they look very sheer compared to swatches.